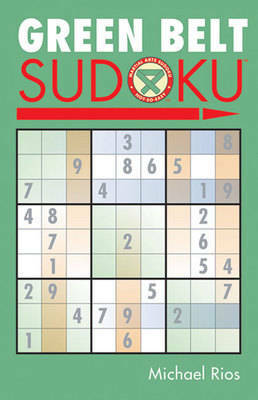 With a separate sudoku book for every level, all puzzle lovers can play this wildly popular, incredibly addictive game that's appearing in major newspapers all over! Taking a page from karate - another Japanese art - each title is graded by colour: White Belt for easy, Green Belt for medium level, Brown Belt for hard, and Black Belt for the super-tough solvers. And because each book has an amazing 300 puzzles, the fun can go on for hours.